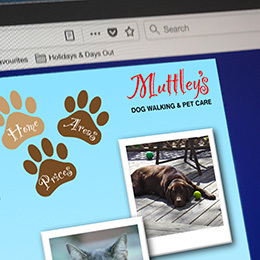 "Natalie designed a website for my pet care business, the results of which have been extremely positive and people have commented on how much they like my website design. Her knowledge and design skills are brilliant and I’ve been so pleased with the site and the impact which it has had on my business. When I needed changes making to my site, Natalie responded very quickly and the changes were made within a few days. I would highly recommend Natalie/Gosh Golly."